Absolute Josh Hartnett is the oldest and most popular fan site dedicated to America's most versatile, talented and cherished actor. Started by Camino in General Discussion. Last reply by paula Mar 12. Started by Christopher Matthew Spencer in The Water Cooler Gossip. Last reply by Elza Loures Nov 2, 2018. Started by zlatitsa kaneva in General Discussion. Last reply by Andrew Reynolds Nov 26, 2017. Started by paula in General Discussion. Last reply by Andrew Reynolds Nov 26, 2017. Started by zlatitsa kaneva in General Discussion. Last reply by PlasticFlute Sep 26, 2017. We are pleased to announce the winner of the absolute josh hARTnett contest and share this virtual exhibit. 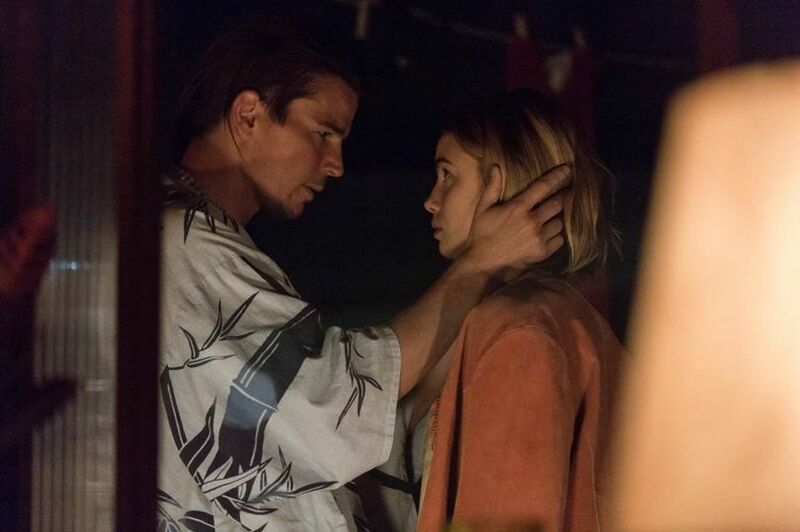 "She’s Missing Director: Alexandra McGuinness Cast:Lucy Fry / Eiza Gonzalez / Josh Hartnett / Christian Camargo Genre: Desert Thriller Synopsis: A desert thriller in which an aspiring rodeo queen goes missing." "Beauty: Characteristic, character or attribute of what is beautiful; proper expression of beauty; bonyness, charm or loftiness. Something or someone that excites admiration. Particularity of what contains balance, symmetry, grandiosity, harmony.…"
"Josh Hartnett lives a beautiful love story in Drunk History S6. E5 - Love. #DrunkHistory #Love #JoshHartnett #iloveyou"
We love to share the wonderful content and information about our favorite actor Josh Hartnett. This site is entirely run by volunteers, but we have monthly hosting costs, postage and other expenses that we have to pay to maintain this site. We would appreciate your sending a $1 donation to help us defray the cost of operating our site. Thank you so much in advance for any consideration. Created by Christopher Matthew Spencer Feb 4, 2011 at 9:41am. Last updated by Christopher Matthew Spencer Oct 25, 2018. Created by Christopher Matthew Spencer Feb 4, 2011 at 9:39am. Last updated by Christopher Matthew Spencer Feb 4, 2011.